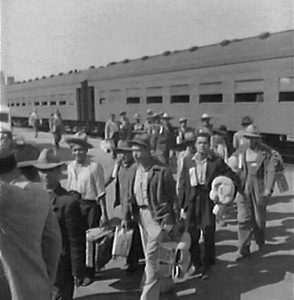 The first Braceros arriving in Los Angeles by train in 1942. 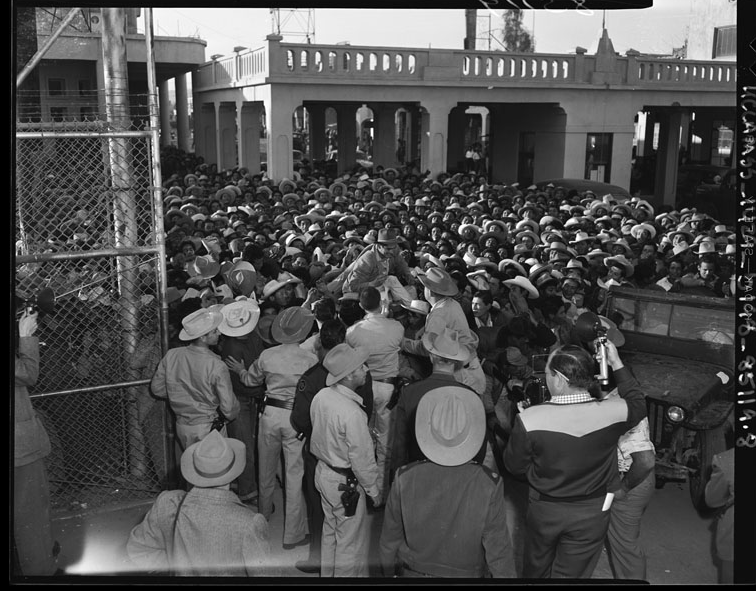 Photograph by Dorothea Lange. The National Museum of American History’s exhibition and bi-lingual website for “Bittersweet Harvest: The Bracero Program 1942-1964 / Cosecha Amarga Cosecha Dulce: El Programa Bracero 1942-1964” explores this history through powerful photographs and short quotations from those involved.